This post will be very short, but I just have to write a sentence or two about it. I am part of Nokia Developer Champions program since mid 2012. and I have always been very proud of this– not only because of the Windows Phone platform I love so much, but because of Nokia as well. I don’t have the exact statistics, but I would say that 70-80% of all mobile phones I have ever had were Nokias, including my first and last one. But, things can always be better! On October 15th, I was selected to be Nokia Developer Champion of a month! I think this is huge – being selected among all those hard-working Champions around the world is a real honor and I just want to say thanks – thanks for selecting me and thanks for your ongoing support for all my community activities! 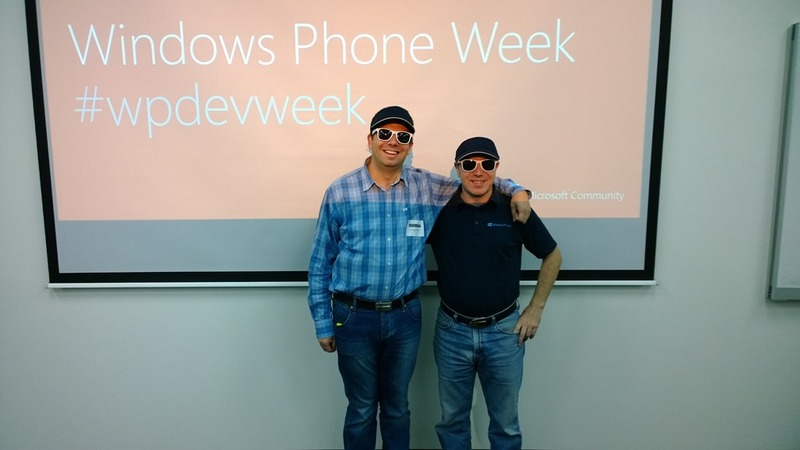 Windows Phone Week was in Zagreb, and it was great! Around that time, Matteo shared the news in Nokia Developer Champion group on Facebook, and I liked the idea so much that I wanted to bring the event to Zagreb (Croatia). It seemed to me like a long shot, but I got a green light from Matteo and Microsoft in just a few hours! I checked with local DPE team when a conference room was available and we had a date – October 4th. I was quite worried at the time, since that was Friday before a long weekend in Croatia, and a working day. And there was only 16 days left to organize the whole thing. Thanks to a great people around me and support from Milan, Redmond and San Francisco, it was much easier than expected. In just a day I had a venue, registration site, catering and five excited speakers, eager to participate. As a cherry on the top, Andrej Radinger, our local Windows Phone MVP, joined and helped me with the next steps. The program officially started at noon with a few words from organizers and some housekeeping notes. Andrej Radinger was the first in line – he had a talk on Windows Phone App Studio, great web-based tool for making Windows Phone apps without coding. After that, we had a session on designing Windows Phone applications by Matej Huljev, a professional designer who is quite experienced and good in Microsoft design language (previously known as “metro”). Developers often have problems with the design part of app development, so he shared some very usable tips & tricks about grids, typography and whitespace. 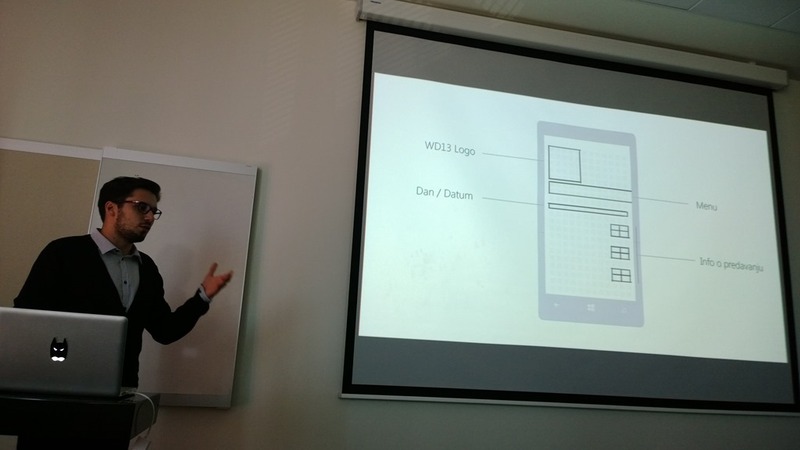 After the lunch, Toni Petrina (C# MVP) talked about game development for Windows Phone, going through many technologies and tools available for the platform. As you may know, games are statistically the most popular apps on any platform, so it was interesting to see how we can make our own game for Windows Phone. There was also a tips&tricks session by my colleague Igor Ralić and me. We’ve shared ideas and howtos about icons, in-app purchases, Windows Phone Power Tools, advertising, file & protocol associations and open source libraries for Windows Phone. Prizes are a nice way to motivate people to come to the events and to stay until the end. But, this time, all the seats were “sold” out before we announced what kind of prizes we have! Actually, we had the event sold out before all community members in Croatia (around 2,500 people!) got the invitation in their inboxes. We have opened the registration for 100 people, and all seats were taken in 48 hours. (Actually, we didn’t have that many seats in the room, we have overbooked a bit.) At the end, more than 80 people showed up, that’s more than average for a free event (the average is 66% percent). We had a good coverage in local media (all in Croatian): Bug, Gadgeterija and Netokracija (in alphabetical order). Thank you, guys, for your support! And, at the end, we have to thank a bunch of people for making this possible. First, thanks to Matteo, Joost and Rodolpho for starting the whole thing. It is a great initiative and I’m sure you’re very proud how things turned out. Thanks to Desiree Lockwood and Sharon Hobbs from Windows Phone Division in Redmond for including us on the list and for fast and constructive support we had received. Thank you Antoine Naaman, a Nokia Developer Champions Program lead, for supporting the event (and basically every initiative I have). Of course, a big thanks to local DPE team (Tomislav Tipurić and Draško Ivanišević) – without a local support this would be much harder (if not impossible) to organize. 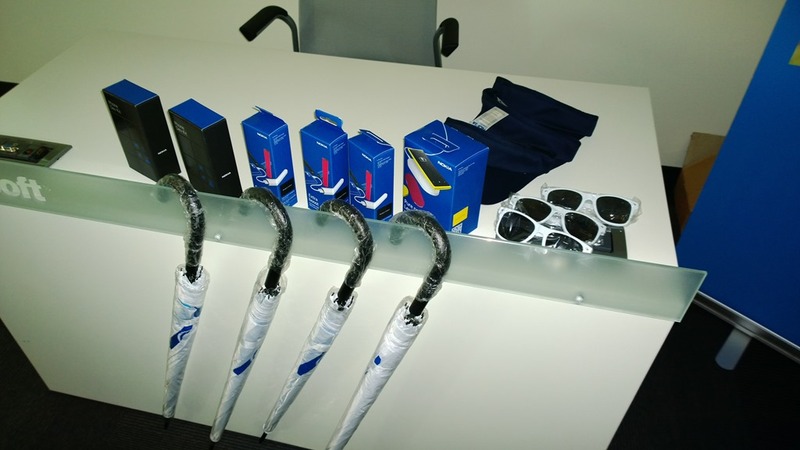 Thanks to our local Nokians as well: Iva Carić, David Pavlinić and Dea Milovan, for goodies and ongoing support. And last, but not the least – thanks to all the speakers – Andrej, Matej, Toni, Igor and András (and me :-)) – and all the participants for making this event a rememberable one. Windows Phone Week is not over – actually, it has become a month long. So you can check this page and find other events until the end of October 2013. There are 21 events all around the world announced at the moment! 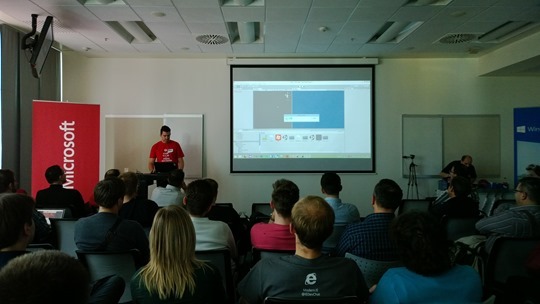 If you have missed our event, and you live in Croatia, you can join a FutureDEV user group – we talk a lot about Windows Phone so you’ll be able to join us next time. For more info on similar activities around the world, you can follow Windows Phone Dev on Facebook or Twitter. And of course, I’d be honored if you chose to follow me, too. I share a lot of stuff about Windows Phone, so it may be a good source of information. Update: This offer is not valid any more because there are no tokens left. I’ve distributed more tokens than initially planned, but even that wasn’t enough! Great job, devs! Here is a deal: you send me a working prototype of your app for Windows Phone, and you’ll get a Nokia Premium Developer Program token (priced at $99, valued at up to $1500 value) – for free. In other words, this will enable you to publish your app for free, improve it with the cloud API and nice controls, and solve up to two technical issues you may have. It is easier than ever. You can build your prototype with Visual Studio (including free Express version) or you can use Windows Phone App Studio (no coding needed, just updated with new features few days ago). Or you can mix both. This offer is restricted to Europe. If you live in USA, check out the similar offer. Already a developer and have apps published? There is something for you, too. Create a brand new app and you’ll get the token, too. This will enable you to extend your Dev Center membership once it expires and use cloud, controls and support for all your apps. – Deadline for sending me your working prototype is October 25, 2013. – All tokens received part of this competition must be redeemed before October 31, 2013. I will not be able to provide you with another token if you forget to redeem yours on time! Thanks to the Nokia Developer Champions program for making this possible! Looking forward to your new apps! You know that feeling when you have two kids, and someone asks you to pick a favorite. Well, nobody asked me to pick the favorite between these two conferences, so I don’t have to. That’s good, because I could not. DevArena (October 15th) is a developer oriented conference, organized by Ekobit, one of the most successful regional development companies (check out the sites linked, made by my company). I really enjoy that conference, not only as a speaker, but as a part of the audience as well. I have two sessions there How to make money with Windows Phone apps? at 10 am and Speech API: talk to your phone at 2:15pm. What can you do to make your Windows Phone app more beautiful? Do you need a designer? I will not talk here about the importance of the design and platform guidelines. Let’s assume that you’re very well aware of that and how it affects the number of downloads, usage, conversion rate and overall user experience. Hiring a designer can be expensive, especially for indie developers or startups. So you rely on your developers to “work something out”, and that seems especially easy with Windows Phone, since the “metro” design is so simple and flat. Well, from the apps we can see in the Store, it is not as easy as it looks like. Good news – Nokia is doing something about it. I’m really happy to see this happening, because all we hear in the media is the number of apps, not how good (looking) they are. Ecosystems are playing that game as well, doing activities that vary from interesting to embarrassing, just to boost The Number Of Apps. 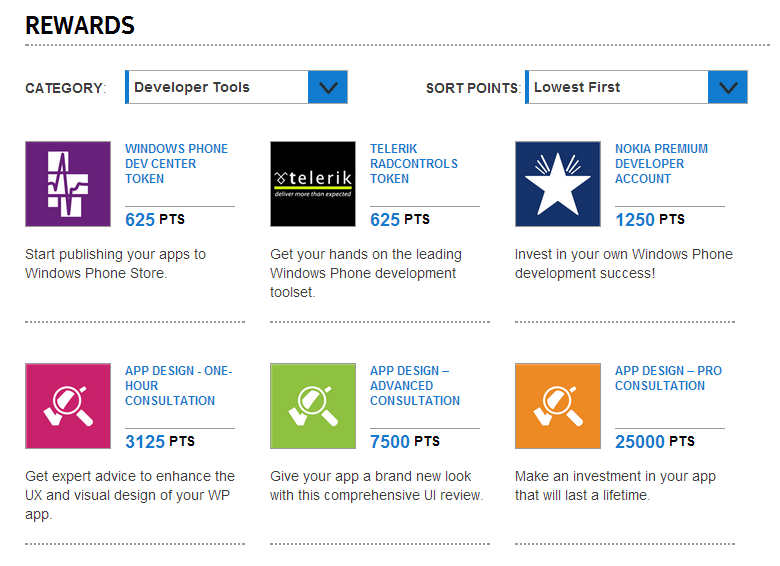 Use your XP points to get consultation that will help you improve the visual appearance of your app. You’ll need 3.125 point for one-hour consultation, 7.500 for advanced consultation and 25.000 for total visual makeover (aka pro consultation). They’re quite “expensive”, I agree, but it can boost your app popularity and sales, and teach you a lot in the process. I’ve seen a few professional reviews of apps and they were all invaluable! Go to a live consultancy event for free (UK only) that will take place in London on Wednesday, September 25th. All the details and registration form are here. I hope that this is just a start – looking forward to see more activities in this area in the future! Oh, yes – it can be done, although there is no button for it. You have to contact support. I’ve successfully managed to move an app to my other developer account (yes, I have two, don’t ask me why) so I’m sharing my first-hand experience. 5) That’s it – app is moved to another account: all stats, downloads and reviews are preserved! Update (8/15/2013): The process of transferring the apps can take a while and during that time you will see strange things happening – for a while, you’ll see the app in both accounts, later you will have the app in target account and reports at the old place. Don’t worry – those things are normal, just wait for the process to complete and everything will be as expected. The usage is quite simple, so I will not waste your time on describing how to push the application bar buttons. But, the last button on the right is a quite important experiment – I’ve used a in-app purchase feature to enable donations (you can buy a coffee for my wife or a burger for me). I don’t expect to get rich (or gain weight), but I am curious how will this thing work, both technically and economically. I will share the details if there will be anything to share on this. Implementing in-app purchases are is quite easy, but testing… not so much. There are three official scenarios, but none of them is perfect: testing with beta submissions is too slow, mock in-app purchase library is not 100% inline with the real experience (e.g. events raised after the purchase) and in-app purchase mock service is difficult to set up. I’ve ended up testing with the first two approaches, but it should be easier. Anyway, enjoy the app, it’s free – click here (ICYMI try my other apps as well). Two weeks ago I’ve started a giveaway of five free Nokia Premium Developer Program tokens and today I’ll announce the winners. Congrats to the winners and a big thanks to all the participants! If the token has missed you this time, that doesn’t mean that you cannot enter a really valuable Nokia Premium Developer Program – it costs only 99 US$ and you get a lot of stuff for the same amount of money as you would pay the Dev account itself. If you’re developing for the Windows Phone, this is no brainer. 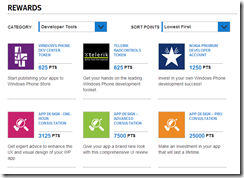 Giveaway: Get into Nokia Premium Developer Program – for free! 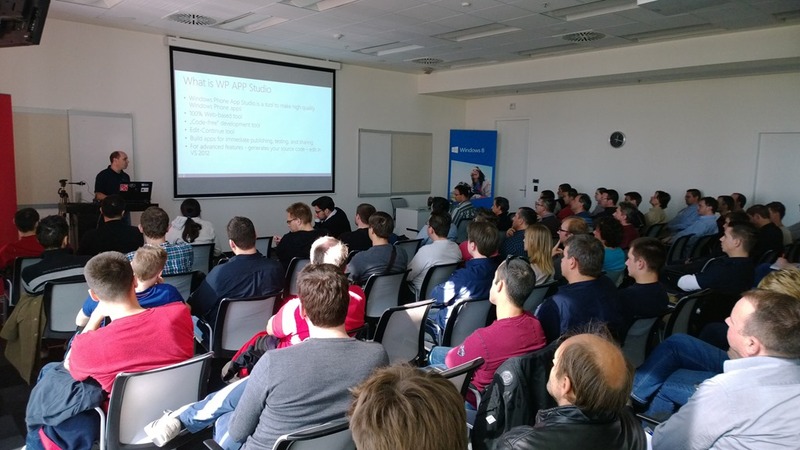 I’ve blogged about our little Windows Phone developer event in Zagreb, and I have mentioned what great support from Nokia we had. One of the things that we got were vouchers for Nokia Premium Developer Program for Lumia. Nokia Premium Developer Program for Lumia is the best way to start developing for Windows Phone – for $99 you get a package of benefits worth up to $1500, that includes: Windows Phone Developer Center membership, Telerik RadControls, Buddy.com Cloud API and two Nokia Tech Support tickets. And I happen to have five (yes, five) tokens to share that will let you join the program for free! So, if you want one, tweet to @domagojpa OR send an e-mail to domagoj@gmail.com (if you want to keep it private) and explain why you deserve to get one. Five best explanations (in my opinion) will get the token, and I’ll post the names on my blog in two weeks from now. There are no rules or geographic restrictions, just be creative and honest. The only thing I expect in return is at least one (new) app published. Ready, steady, go! And feel free to share this to your friends and followers!